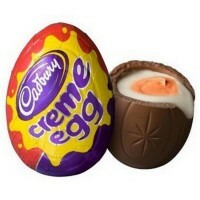 Many American kids looked forward to Easter each year for a chance to find a tasty Cadbury Creme-filled Egg in their Easter basket. Were you one of them? Now you can enjoy these creamy Cadbury eggs again! 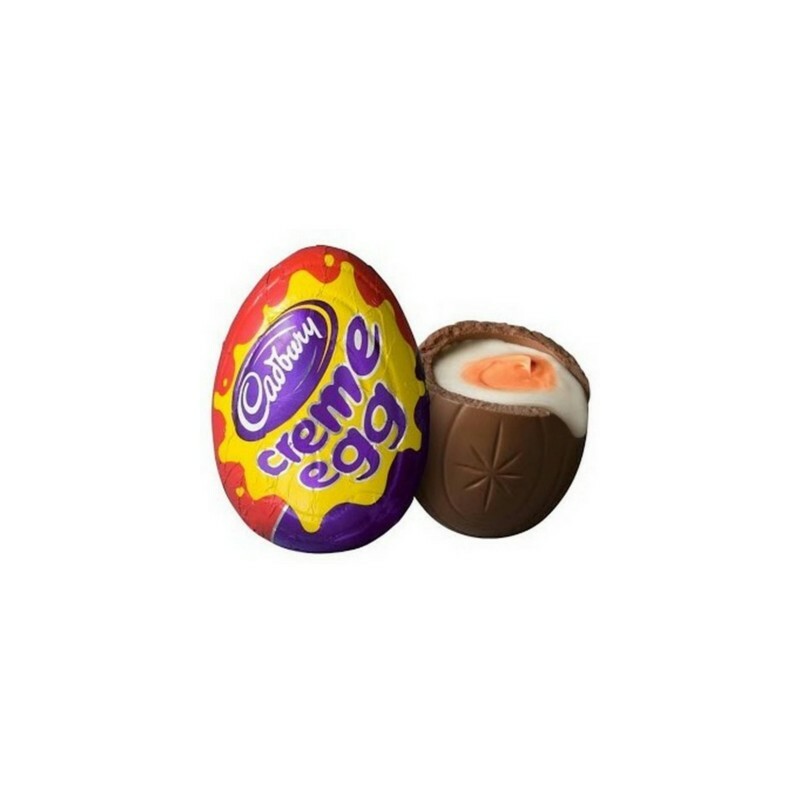 Shaped like an egg with a realistic-looking yolk inside, these milk chocolate American treats are a tasty twist on eggs. Milk chocolate (sugar, milk, chocolate, cocoa butter, milk fat, nonfat milk, soy lecithin E322, natural and artificial flavors), sugar, corn syrup, high fructose corn syrup, 2% or less of: color E110*, artificial flavor, thickening agent E509, egg whites, acidity regulator E500ii, salt. Manufactured in a facility that also processes peanuts and tree nuts. Contains GMO. Nutrition facts (for 100g): calories 443Kcal, total fat 15.3g (saturated fat 9.3g), total carbohydrate 72.5g (sugar 66.3g), protein 3.3g, salt 0.2g.